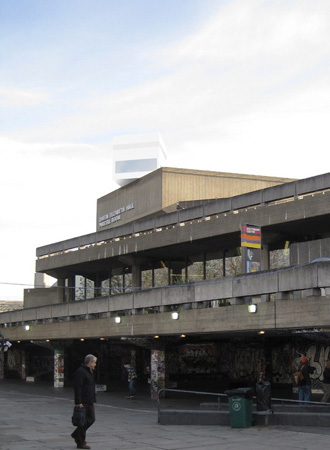 The cube straddles the edge of the roof of the Queen Elizabeth Hall. 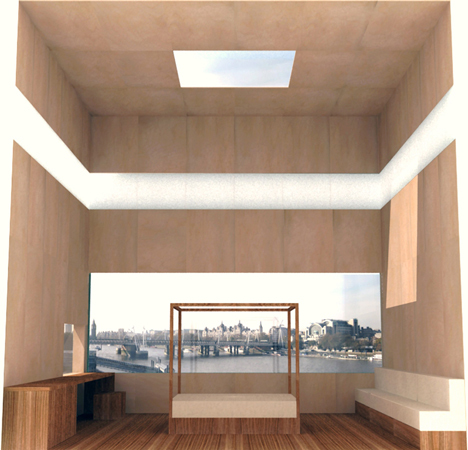 It is positioned for the interior to have both a wide view over the river and towards sunset. 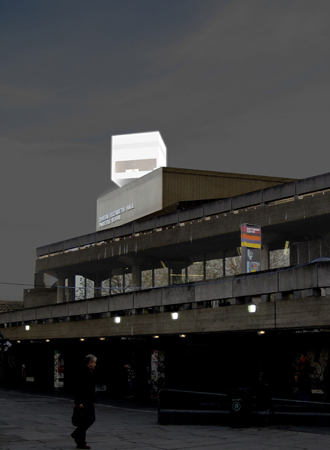 Due to the slight overhang, passersby will see the white cube as a roof-top feature from the terraces below. When the occupants switch on the light at night, white LED lights behind the recycled glass cladding light up the whole cube. When the occupants switch off the light before going to bed at night, theLED lights also switch off and the cube blends back into the darkness of the roof and the night sky. The interior of the cube is seven metres long, seven metres wide and seven metres high. A large picture window positioned centrally within the room reveals the view towards Hungerford Bridge and Westminster. A smaller window adjacent to a seating area looks to the South towards the Royal Festival Hall and the Millennium Wheel beyond. 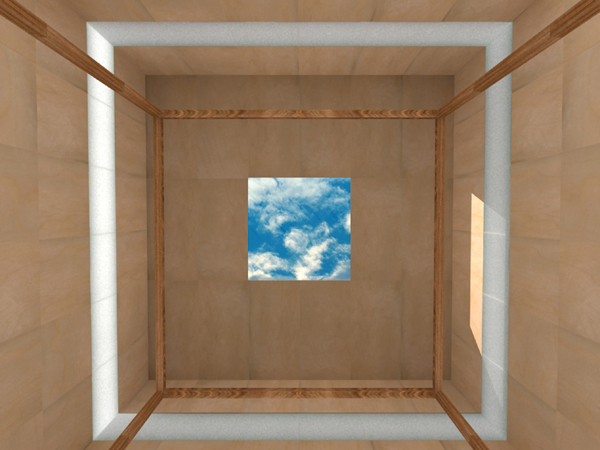 A two metre square opening in the middle of the double height ceiling allows a constant view of the changing sky from the reclining posion on the mattress of the four poster cube bed directly below.